People watch movies for all sorts of reasons, but one of the strongest may be because we’re fascinated by other people. Other people, other lives, other ways of being in the world. We only have one life, and it’s understandable that part of the allure of sitting in the dark staring at a screen is comparing our experience of being alive with what we perceive in other human beings living theirs. Nonfiction cinema only makes this tendency more acute. These are, in theory, “real” lives that we’re watching, and we can choose to quietly spy on these people’s worlds in a way that feels more immediate and intense than scripted fare. We look because we’re curious, and we look because we’re wondering how we’d fare in similar circumstances. In a sense, all movies—and certainly all documentaries—could be thought of as vicarious selfies: We see other lives, but we all seek out ourselves. The 13th edition of the True/False Film Fest in Columbia, Missouri—which is also home to the University of Missouri—offered four days of contemplative examination, debuting a few new documentaries but also bringing together notable offerings from Sundance, Venice and other festivals. And, throughout the 20 films I screened at the festival (or before), I rarely stopped thinking about what I was looking at, why the filmmaker wanted me to look at it, or what the subject hoped to achieve by being looked at. There were no “right” answers to these questions, no “better” way for a documentary to approach these concerns—if they were even conscious of them. Still, as a general rule of thumb, the more a movie seemed to be wrestling with its own existence, the greater or more intriguing the results. Most of us grapple with our motives and desires on a personal level—why shouldn’t documentaries awash with messy, urgent life do the same? Curated by Paul Sturtz and David Wilson, alongside programmers Chris Boeckmann and Pamela Cohn, True/False remains as charmingly Midwestern as ever. I say that with no smugness: Growing up in small-town Illinois, I recognize the modest, genial atmosphere of this festival as if it was a childhood friend. This was my fourth True/False—and, full disclosure, the fourth year I’ve been an invited guest—and I’m happy to report that the festival’s no-big-fuss aesthetic remains vibrant and organic. 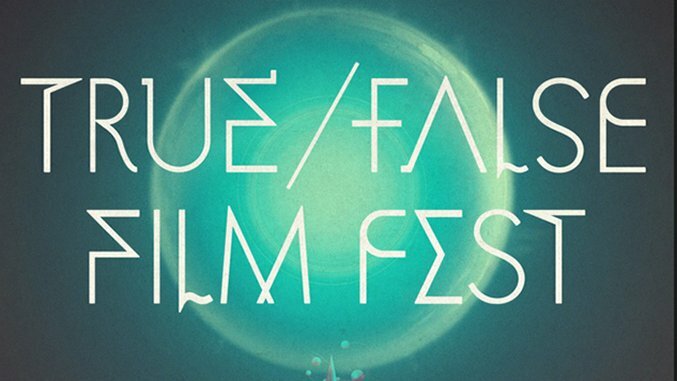 Screening approximately 40 feature-length documentaries, not including shorts and other special programming, True/False has earned its reputation for being a hospitable home for both challenging nonfiction work and the more crowd-pleasing offerings. (Three of this year’s Best Documentary Oscar nominees were featured at last year’s True/False, running the gamut from the searing The Look of Silence to the somewhat more traditional biographical portrait What Happened, Miss Simone?) For the festival’s 13th year, Sturtz and Wilson continue to endorse a wide-ranging appreciation of the documentary form, believing that the slickness of Weiner, about disgraced politician Anthony Weiner, can coexist with Helmut Berger, Actor, a confrontational examination of the long-in-the-tooth performer. No matter its approach, however, each True/False film had to contend with the same underlying questions: What are we looking at and why? The festival’s breadth—not to mention its breadth of responses to that question—was illustrated first by its three premieres. Beyond being nonfiction films, they had precious little in common. The everyday also seeps out of every pore of Peter and the Farm, a quietly remarkable portrait of Peter Dunning, who runs an organic farm in Vermont. Director Tony Stone, who’s known Dunning for quite some time, wants us to spend about 90 minutes with this bearded, crusty, raggedly funny older man—but I don’t think he ever expects us to fully grasp him. This is not to say that Dunning is particularly enigmatic—he’ll talk about his love life, his depression, that terrible thing that happened to his hand—but Peter and the Farm is a small little gem of keeping an open mind and allowing complexity to flourish. That’s never truer than near the start of the film when a charming introduction of Dunning’s loyal dog is positioned against a shockingly frank scene of a lamb being killed and harvested. How can a man who’s sweet to his pooch be so blasé in his savaging of a sheep that’s equally adorable? Much of Peter and the Farm plays out this way, a collision of accidental revelations and seemingly humdrum moments thoughtfully stitched together. Like several of the subjects featured in a True/False film, Dunning isn’t opposed to Stone’s camera, but he remains wary of what’s being captured and how it’s going to be used. Dunning’s hesitation provokes our own, especially when this aging loner, despite apparently having some sort of off-camera lady-friend, begins to confess his suicidal feelings. The larger cultural relevance of The Pearl is nowhere in evidence in Peter and the Farm, but Dunning’s meticulous revealing of an anguished life cuts deeper and leaves us more uncertain. We watch because we find Dunning good company, but we also watch because we fear for him. Empathy is at the forefront too in The Prison in Twelve Landscapes, director Brett Story’s masterful collections of vignettes. There’s no central figure, Story instead using her snapshots of different individuals to suggest something grander—namely, Americans’ inescapable entanglement with their country’s prison system. With so many different stylistic techniques—sometimes her subjects address the camera directly, sometimes we’re a fly-on-the-wall observing people from a distance talking to each other—The Prison in Twelve Landscapes may risk didacticism, but such worries are mitigated by Story’s aesthetic adventurousness. There’s a cumulative power, a headlong rush, in watching one vignette segue into another, the viewer trying to make connections between seemingly dissimilar American portraits. The Brooklyn man who started a business that ships penitentiary-approved goods to inmates, the Detroit P.R. rep who has no idea how slimy he sounds, the St. Louis County resident waiting in long lines—Story deftly makes the point that they’re all invisibly part of the same system, and the juxtaposing, sometimes counterintuitive correlations enliven each snapshot and make The Prison in Twelve Landscapes stronger collectively than in any one sequence. Other filmmakers would mount a frontal assault on the classism and racism rampant in the way we lock up so many people, but Story doesn’t want us to watch the usual images and absorb the normal statistics. She’s asking us to see the dilemma in a new light, and her powerful essay film never stops making us queasy—and, at the same time, alive with anger and sorrow that the dilemma is being communicated so forcefully and innovatively. In the face of such intellectually stimulating nonfiction filmmaking, movies that merely wanted to honor their subjects couldn’t help but feel comparatively paltry. Directors Heidi Ewing and Rachel Grady have made remarkable you-are-there documentaries about Detroit (Detropia) and the abortion debate (12th & Delaware)—their most famous film is probably Jesus Camp—but Norman Lear: Just Another Version of You never rises above respectfully recapping a great artist’s life. An encapsulation of the man who brought the world All in the Family, Ewing and Grady’s film tries to be provocative by inserting staged re-creations of Lear’s younger life, but Norman Lear is simply too smooth, too untroubled, to leave much of an impression. There’s very little consideration to what we’re watching, and Lear himself is too comfortable in his role as man of the hour. And without any sort of friction, it’s hard to engage with Norman Lear’s ideas about free speech and social commentary: The movie treats them as battles already won. It’s not that a cozy relationship between subject and filmmaker can’t make for rewarding cinema—there’s nothing but clear affection in The Pearl—but a movie such as Life, Animated, no matter how touching and bighearted it is, demonstrates the limitations. The latest documentary from Roger Ross Williams, behind the far more critical and investigative God Loves Uganda, focuses on Owen Suskind, a 20-something who has battled autism since childhood. Inspired by the memoir written by Owen’s father, Pulitzer Prize-winner Ron Suskind, Life, Animated tracks how the child’s parents discovered that the trick to breaking through to their son was by communicating through Disney movies. To be sure, this is a remarkable, cheering story of how a family was, in a sense, reunited—before the breakthrough, Owen spoke in indecipherable chunks and was badly withdrawn—and Williams keeps the movie touching without becoming too syrupy. And yet, the polished telling, complete with nicely composed framing of the interviews with family members, strips the drama of much urgency. Granted, this may be a case where it’s better for all concerned that there’s less drama—who wants to see a young man suffer silently through his disorder?—but Life, Animated’s honorable objectives never really challenge the audience. All involved are here to deliver an inspirational message, which is heartening but not exactly sustaining. More entertaining but also more incisive, Weiner could have turned out to be a front-and-center dispatch from former New York congressman Anthony Weiner’s triumphant comeback. But that’s not what happened. Looking back at Weiner’s spectacularly disastrous 2013 bid to become New York’s mayor, filmmakers Josh Kriegman and Elyse Steinberg travel along with the man as he give speeches, calls friends for campaign contributions and strategizes with his wife Huma Abedin, Weiner’s inevitable defeat more and more apparent as he gets closer to election day. This is a film that never stops thinking about the questions of what we’re watching and why the subject wants us to watch, and Weiner’s central tension comes from the conflict between the two answers. No doubt Weiner thought that Kriegman and Steinberg would put down for posterity a portrait of a phoenix rising from the ashes—he’d resigned from Congress in disgrace after a 2011 sexting scandal—and perhaps he had visions of a documentary akin to The War Room, the epochal 1993 film about Bill Clinton’s run for the White House. Instead, there’s only a slow-motion recounting of his failure—another sexting scandal and the quick implosion of his public support—with Weiner sitting grim-faced at the center, wondering how it all went wrong. If Weiner’s investigation of how celebrity, scandal and controversy inform modern politics is somewhat undercut but the filmmakers’ overly flashy treatment, Sonita concerns an uneasy relationship between documentarian and subject in a more complicated fashion. In the film, director Rokhsareh Ghaem Maghami befriends Sonita Alizadeh, a teenaged Afghan refugee exiled in Iran who longs to become a rapper. But Alizadeh is about to be sold as a bride for a measly $9,000 by her mother, until the filmmaker decides to intercede and buy the young woman’s freedom. Where Weiner is breezy and exciting, Sonita is raw and troubled, Ghaem Maghami’s movie unapologetically blurring ethical lines by altering Alizadeh’s life. As a result, Sonita is commentary and confessional, its very existence forcing us to confront the lack of freedom women in that part of the world face. Any hope for a feel-good ending is dented by our understanding that Alizadeh is but one girl—and that so many others aren’t so lucky to be followed by a camera. Sonita was this year’s True Life Fund recipient, the festival’s way of raising money for the subject of one of its films. At screenings of Sonita during True/False, Alizadeh would come onstage as the closing credits rolled, rapping about self-reliance and independence. It’s the sort of heartfelt moment that happens at True/False because Sturtz and Wilson bring the directors (and often the subjects) to Columbia to participate in post-screening Q&As. If Alizadeh’s presence in Columbia was warmly received, it was just as unsurprising that the man at the center of director Andreas Horvath’s documentary was nowhere to be seen. Helmut Berger, Actor tracks the grumbling musings of its namesake, a veteran of Luchino Visconti’s films, who lives in a crummy Austrian apartment and spars with his inquisitor. Whatever Horvath’s initial intention for his documentary, Helmut Berger, Actor ended up as an uncomfortable, fascinating study of an ego gone to seed. Berger berates Horvath, who’s always behind the camera, as much as he tries enticing him, leaving the director excited voicemail messages about upcoming book projects he thinks the two men should collaborate on. The same slow-motion horror that powered Grey Gardens—the sight of royalty rotting away—is key to Helmut Berger, Actor, and I know colleagues who feel that Horvath is cruel to his subject, exploiting a man with possible mental issues. The movie doesn’t read that way to me, but Horvath does let the question hang in the air of why he’s filming these tense, awkward interactions and what he wants us to get out of them. There are no clear-cut answers, and even Horvath’s comment in a Q&A that Berger has seen the film and likes it really doesn’t shed much light. At its best, though, Helmut Berger, Actor stood as a snotty rejoinder to the often cozy relationship between the people in front of and behind the camera in a documentary—to say nothing of our relaxed position as passive viewer. No matter your interpretation of what you’re seeing, here’s a film that jabs at you, keeps you from getting too comfortable, questions your motives. But such incitements paled in comparison to the True/False film most invested in questioning our role as spectator. Robert Greene isn’t just a documentarian but also an editor—both of nonfiction (Approaching the Elephant) and fiction films (Alex Ross Perry’s Listen Up Philip and Queen of Earth)—as well as the filmmaker-in-chief at the Murray Center for Documentary Journalism at the Missouri School of Journalism. His 2014 documentary Actress premiered at True/False, and his latest, Kate Plays Christine, screened at the festival after being unveiled at Sundance a couple months earlier. The film operates under a fake conceit: Actress Kate Lyn Sheil (who appeared in Listen Up Philip and Queen of Earth) is preparing to star in a biopic about Christine Chubbuck, a Florida TV journalist who committed suicide by shooting herself in the head on-air in 1974, and Greene will follow her as she does background research for the project. But there actually is no biopic being made; Greene and Sheil film intentionally cheesy-looking scenes from their bogus movie, which are intercut with Sheil’s real conversations with Chubbuck’s former coworkers and, in one particularly excellent scene, a local gun dealer. Actress, about actress Brandy Burre as she prepares for a comeback after years away from the business, dove deep into the ways our lives are actually just a series of roles—mother, daughter, lover, young, old—and Kate Plays Christine is also captivated by our ability (and our need) to create different guises. But this time, Greene wants to include us in his interrogation. The documentary fixates on Chubbuck’s suicide—the footage of which has been locked away for the last 42 years—but, more accurately, fixates on why an actress (or an audience) would want to relive such a horrific, traumatic act. Kate Plays Christine builds and builds to a finale in which Sheil must make the decision of how she will “perform” Chubbuck’s violent end, and while I won’t reveal the resolution, it most forcefully asks the question so many of True/False’s films ponder: What are you looking at? I have not seen the film since Sundance, and while I continue to wrestle with its bold distortion of nonfiction and re-creation, “truth” and “fiction,” I should also say I’m not as fully besotted as some of my critical brethren. But I want a second viewing to suss out my feelings for an accomplished work whose irritations may melt away into grace notes. The superb Thy Father’s Chair is lit by plenty of grace notes, while simultaneously circling around these themes of observing and being observed. Directors Antonio Tibaldi and Àlex Lora don’t give us a lot of setup before diving into their tale: Two elderly Orthodox Jewish brothers must clean up their cluttered, garbage-strewn Brooklyn apartment after complaints from an upstairs neighbor about the smell and filth. Divided into seven chapters and an epilogue, Thy Father’s Chair documents the brothers—whom, we’ll learn, are twins—over the span of a few days as cleaners enter their home and negotiate with them about what can and can’t be tossed. But Tibaldi and Lora reward Abraham and Shraga’s vulnerability with compassion. The title a hint about one item in the apartment that’s especially fraught with emotional baggage, Thy Father’s Chair becomes a meditation on belongings and sanctuaries, how inanimate objects and lifeless dwellings become suffused with meaning because of the people who own them. When a closing credit indicates the documentary is dedicated to Chantal Akerman, I was hardly surprised: The Belgian filmmaker, who died in October at the age of 65, came to mind a few times while watching Thy Father’s Chair, particularly her Hotel Monterey, a ghostly, silent study of empty hallways and hotel rooms that suggests the lives that have come and gone. A regular feature of True/False’s annual slate is the inclusion of a narrative film or two that reflects the capturing of reality as part of its story. (For instance, Boyhood screened in 2014.) This year, the festival presented All These Sleepless Nights, director Michal Marczak’s sort-of documentary about Krzysztof Baginski, a Warsaw youth in thrall to the city’s nightlife and beautiful women. Usually, a critic should research the backstory of a film’s making, but in the case of this floating, dreamlike reverie to youth, I chose not to: Baginski is, in essence, playing himself, and what’s scripted and what’s just real life don’t matter much to me. Weaving around to Caribou’s “Can’t Do Without You” or pondering how much of our lives we spend doing frivolous things like watching fireworks, All These Sleepless Nights feels like a twentysomething time capsule that’s simply true, and Baginski wants us to bathe in his characters’ naivety and impetuous pleasure. I had no problem obliging. Starless Dreams takes us into a Tehran prison for young women who have done, admittedly, awful things, such as committing murder. And yet, these women—most of them just girls—are actually imprisoned twice. They’re trapped behind bars, but even when they are released, they’ll be stuck in an oppressive society where their own families will disown them and their future prospects will be dim. This is tricky terrain—Oskouei doesn’t condone his subjects’ actions, but he does have sympathy for their inability to have a second chance—and Starless Dreams navigates it through delicate, respectful modesty. For Oskouei, showing another person’s life is to create empathy, and while it can be impossible to imagine some of these sweet faces doing such horrendous acts, we peer at them wondering what we don’t know and what we don’t see. It’s through such modesty that Starless Dreams creates profound depth and compassion. Mysteries abounded in this year’s slate, perhaps most potently in Tickled, directors David Farrier and Dylan Reeve’s seemingly straightforward investigation into the world of competitive tickling. Soon, their inquiries open a Pandora’s Box of intrigue after Farrier, a journalist and the film’s onscreen narrator, starts getting harassed online by a mysterious woman named Jane who runs some of the events. Much of Tickled’s fun comes from not knowing what happens next, so I’ll stop there. But I will say that not unlike the work of Nick Broomfield, Tickled is a treasure trove of colorful characters visited by an amusing central figure who always dances between delightful oddball and shameless self-promoter. Still, Farrier gets away with it because of the twisty tale he has to tell—and the yarn didn’t end with the film’s premiere at Sundance. When Farrier came onstage to introduce Tickled in Columbia, he noted that during the previous day’s screening, two men had to be removed because they were trying to record the film, a hint of the juicy paranoia and ongoing legal skirmish that has been birthed by the documentary. Tickled turns a mystery into entertainment—although Farrier, who was served papers during the festival, may not agree with that assessment—while Michael Shannon Michael Shannon John takes two siblings’ personal inquiry and transforms it into a meditation on the family secrets we’re almost afraid to know more about. Director Chelsea McMullan introduces us to Michael and Shannon, a brother and sister living in Canada who always wondered what happened to their father, who left when they were very young. They find out that Dad hightailed it to Thailand, where he ended up having a second family—with two children he also named Michael and Shannon. With their father, John, now dead, the Canadian siblings decide to visit the Thai Michael and Shannon. What’s best about Michael Shannon Michael Shannon John is what can’t be resolved: how a father can walk out on one family and start another, and yet still feel a desire to give his new children the same name as his previous ones. McMullan lets that question hover over everything we see, and even though the culture-clash encounter between these two sets of siblings never quite goes to an amazingly insightful or shocking place, that in itself is a sort of revelation. These young people are a product of the same father, but are all separate of him, and Michael Shannon Michael Shannon John places a mirror in front of us, asking viewers to reflect on the key qualities of our own personalities that have been forged by those who sired us. The experience of watching was never more ravishing at True/False than in Behemoth, Chinese director Zhao Liang’s visually striking overview of a mining community. Somewhat predictably, Zhao juxtaposes gorgeous images with ugly truth: the miners dying of black lung, the devastation of a region’s natural resources. Still, if Behemoth tells us depressingly familiar news—China’s rush to modernize is poisoning its people spiritually and physically—Zhao has assembled a mournful picture book of atrocity. That picture-book quality was also present in The Killing of America, which was part of the festival’s Neither/Nor section, a sidebar of films hand-selected by a critic. This year, the job fell to Nick Pinkerton, who programmed Mondo films, a loose collection of disparate movies that boasted some sort of exploitative quality. Released in the U.S. in 1982, and a big hit in Japan, The Killing of America is a compilation of American violence, encompassing footage of everything from the assassination of President John F. Kennedy to the 1966 mass shooting at the University of Texas to the attempted assassination of President Ronald Reagan. Incorporating dire narration from voice actor Chuck Riley, director Sheldon Renan’s three-decade-old film couldn’t be timelier, examining how a proliferation of guns has caused the U.S. population to go insane. Never attempting to offer in-depth analysis, The Killing of America is somewhat graphic, but what’s deeply shocking about the film is the cold presentation of its news footage. Taken as a whole, the film feels maddening, hopeless—and that’s not even mentioning the archival glimpses of history we think we’ve seen exhaustively. To bear witness to fresh footage of Kennedy’s fateful trip to Dallas is to experience that tragedy with new eyes. The pain and slaughter of that day hits you with nascent fervor. Where The Killing of America turns raw footage into an essay on murder, Cameraperson takes the bits and pieces of different films to construct a personal new whole. Cinematographer Kirsten Johnson has worked on acclaimed documentaries such as Fahrenheit 9/11 and Citizenfour, but for this film she’s not shooting other people’s movies but, rather, looking back at the images she’s compiled, telling her story through the stories of others. Depending on how you look at it, all films are really about the person making them—which shot to choose, which angle to take, is informed by that individual’s temperament—but Cameraperson is rich in hidden emotional connections that only Johnson understands. Images from Bosnia are stacked against personal footage of ailing family members, and the ambiguity of the juxtaposition is incredibly enticing: Since Johnson declines to offer a running commentary on what we’re watching and why it matters to her, we’re left to create our own narratives, our own connective tissue, between moments. Consequently, the film explores the festival’s central questions in a different, very appealing way. We’re looking at material that was once meant for one purpose—but now, Johnson is recontextualizing it for her own purposes, and so the footage means something different. While watching Cameraperson, which could be considered a cinematic autobiography, I was reminded of a comment film critic Pauline Kael made in the introduction to her 1994 collection For Keeps: “I’m frequently asked why I don’t write my memoirs. I think I have.” And so now has Johnson. A different kind of remembrance occurs in Jim: The James Foley Story, which recounts the life of the slain war journalist. Director Brian Oakes, a childhood friend of Foley’s, doesn’t show the footage of the man’s death—he was executed by ISIS on-camera in 2014—but instead gives us a portrait through the family that loved him and the colleagues who worked alongside him in some of the world’s most dangerous places. On the one hand, Jim is not particularly incisive or inquisitive, mostly contented to honor a person deserving of respect and admiration for his courageous reporting. On the other, it doesn’t need to be formally innovative: The tasteful talking-head interviews give way to a second half in which Oakes does a fine job imagining Foley’s ISIS captivity, juxtaposing understated re-creations with eyewitness accounts from others who were being held with him. Jim means to ask questions about the importance of journalists in warzones—and, perhaps, if the U.S. should rethink its policy of not giving into terrorists’ ransom demands—but the documentary works best as a simple, unforced bearing of witness. And as such, it’s a deft delivery device for grieving. But the festival’s most galvanizing entries satisfyingly and rivetingly embraced this notion of watching, being watched and the distance between the two. Like All These Sleepless Nights, The Other Side was a True/False selection that exists in a rewarding realm between “fiction” and “documentary.” Director Roberto Minervini has crafted a nonfiction narrative in the thick of the Louisiana swamp, drawing on locals to tell a bifurcated story that both exploits liberals’ fears of what the “other” America looks like and constructs a compassionate, clear-eyed account of those who are being left behind economically and culturally. Mark Kelley, like everyone else in The Other Side, is playing a version of himself, living as an ex-con battling addiction without any meaningful job prospects. Lisa Allen is his girlfriend, and she seems awash in her own troubles: Everywhere you look in The Other Side, there are burned-out trailers, unhappy people, rural poverty and a general sense of anxiety and resentment. Not unlike Harmony Korine, Minervini (who was born in Italy but lives in the U.S.) is fascinated by the great, unwashed vitality of America’s back roads and lurid subcultures. The Other Side’s first half is an intimate character drama concerning Mark and Lisa, but its second section feels like a Southern-fried version of Korine’s Trash Humpers mixed with the reckless abandon of Spring Breakers. We see wet-T-shirt contests and drunken days at the beach amidst a collection of random revelers. We also observe a meeting of what appears to be a local militia group that’s fiercely anti-Obama, the men expressing their rage at the country’s direction by blowing a car to smithereens with their high-octane weapons. Minervini’s film contains scenes that feel fly-on-the-wall, while others have clearly been rehearsed and scripted. If he was trying to mock these people, that line between fiction and reality might have been more uncomfortable, but The Other Side is actually a deeply empathetic portrait. The film has its share of cultural dog-whistling. (The whole movie could be a cinematic illustration of the economically disenfranchised voters Obama was referring to in 2008 on the campaign trail when he said, “…they get bitter, they cling to guns or religion or antipathy to people who aren’t like them or anti-immigrant sentiment or anti-trade sentiment as a way to explain their frustrations.”) But The Other Side brings this world to such vibrant life so that we can see these people’s pain—and, perhaps, even understand the rage and violence swirling around them. The Other Side has been made by an outsider who refuses to shy away from other outsiders’ humanity. In an election year dominated by anger and disillusionment, the movie isn’t some freak show but, instead, an incredibly moving, undeniably frightening articulation of why so many in America want to blow the whole thing up and start all over again. Frustration of a different kind highlighted the festival’s last-minute addition. Concerned Student 1950 gets its name from the student movement that began in the fall of 2015 on the campus of the University of Missouri, led by African-American students who had experienced racism and felt that the administration wasn’t doing enough to combat it. Those protests evolved into demonstrations, a hunger strike and—in a move that grabbed national headlines—a planned boycott by the Missouri football team, all of which led to the ouster of university president Tim Wolfe. Such is life at a film festival that I had to dash to the Missouri after another screening in the hopes of catching Concerned Student 1950 in time. I missed the first five minutes or so, but the short’s power and immediacy were without question. It doesn’t offer much in the way of contemplation or perspective—the events are still too fresh for such insight—but the raging, committed effort of the protestors is both inspiring and startling. It is a cliché to report that I felt I was watching history as it was happening, but Concerned Student 1950’s urgency simply rippled through the theater—not just because plenty of locals were in attendance but also because some of the moments captured in the film take place in locations anyone who ventures around the festival will instantly recognize. We had all been watching a movie. But we were also living it, feeling it, reacting to it. True/False exists to foster such moments.